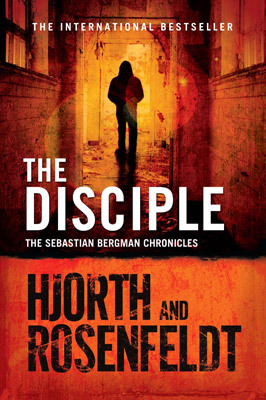 The Disciple opens with psychologist and criminal profiler Sebastian Bergman doing everything he can to bring some order into his chaotic life. Having tried to find his daughter for many years, he's at last learned her identity - and she happens to be Vanya, a respected colleague of his. Though Sebastian longs to tell Vanya that he's her biological father, he also understands it may complicate her life given she already has a 'dad', whom she loves. At the same time, Sebastian's old team in the National Crime Squad - including Vanya - is investigating a series of brutal murders of women. The murders remind Sebastian of Edward Hinde, a convicted serial killer he put behind bars many years ago. But Hinde is still in jail, which leads the police to believe that they might be dealing with a copycat. Sebastian manages to convince Torkel, his old boss and teamleader, to let him have a close look at the investigation. He comes to the unsettling conclusion that all the victims are connected to him - and that Vanya might be in imminent danger. Michael Hjorth was born in Visby, Sweden and has always loved movies and books. He is one of the owners and founders of the successful production company Tre vanner, creating films for both TV and screen. He writes in all genres, from comedy to horror, drama and crime. Hans Rosenfeldt grew up in Boras, Sweden and later worked as a sea lion keeper, driver, teacher and actor until 1992 when he began writing for television. He has written screenplays for numerous drama series and has hosted both radio and television shows. He loves to write, play videogames and spend time with his wife and three children.